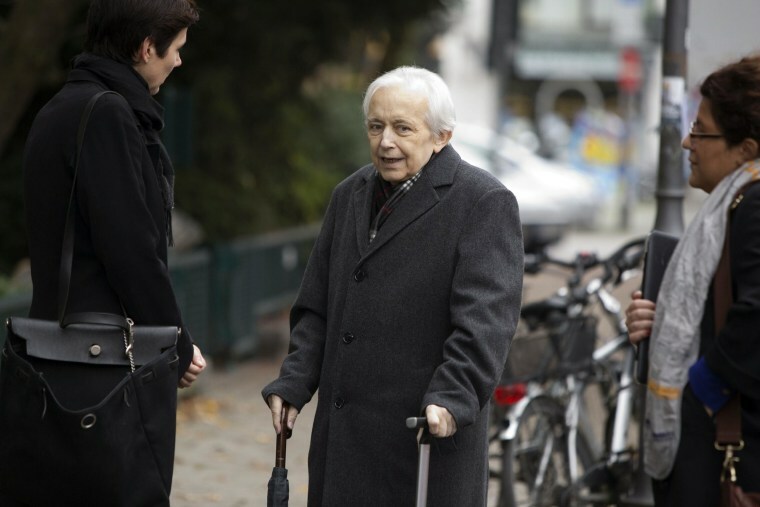 MUNICH, Germany – Reclusive art collector Cornelius Gurlitt left his entire trove of works concealed for decades to the Kuntsmuseum in Bern, Switzerland, the museum said Wednesday. Gurlitt, who died on Tuesday, hoarded more than 1,000 works believed to be lost in World War II or destroyed by the Nazi regime in his apartment and in a house outside Salzburg, Austria. The collection, which was amassed by Gurlitt's father, Hildebrand Gurlitt, includes paintings and drawings by Marc Chagall, Pablo Picasso and Henri Matisse. German tax authorities discovered the pieces in February 2012 in Gurlitt's apartment. Gurlitt's lawyer Christoph Edel confirmed by telephone and in writing that Gurlitt had "appointed the private-law foundation Kuntsmuseum Bern his unrestricted and unfettered sole heir," the museum said in a statement. The news "came like a bolt from the blue, since at no time has Mr. Gurlitt had any connection with Kuntsmuseum Bern," it said. The Nazis had labeled the avant-garde artworks as “degenerate” and plundered them from museums or forced owners, many of them Jewish, to sell them for below their real prices. Hildebrand Gurlitt, an art dealer close to the Nazi regime, built up the collection that today rivals those of many of the world’s modern art museums. His son then concealed them for decades. “[Cornelius Gurlitt's] heirs can decide how to proceed with the art work, but they will have to abide by the agreement that was reached,” Edel told NBC News earlier on Wednesday. He was referring to a deal struck with government last month that established a task force to research the provenance of works suspected of having been stolen by the Nazis. A website has been set up for potential claimants to see the collection. "[Gurlitt] is committed to the voluntary return of any looted art," German Culture Minister Monika Grütters said at the time. The find of nearly 1,300 paintings and drawings last fall delighted the art world, but also brought doubt about the rightful ownership and restitution claims. Matthias Henkel, director of communications for the task force appointed by the government, told NBC News that the experts were continuing in their fact-finding mission and acting on the assumption that whoever inherited the art would abide by the agreement. “We also have a moral obligation to clarify the historical circumstances,” he said. He reportedly was upset with German authorities over the investigation and had contacts with art institutions in Austria and Switzerland, home to the Kuntsmuseum Bern.